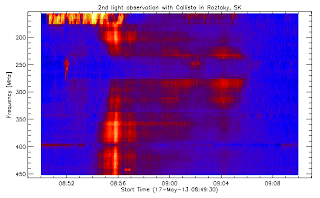 On April 30th 2013 a new Callisto spectrometer has been installed and configured at the observatory Roztoky in eastern Slovakia. 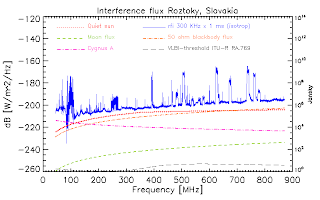 The antenna is a commercial LPDA CLP-5130 followed by a low noise Mini Circuits pre-amplifier. The author with a glass of red wine after succesful installation and configuration of the instrument in a temporary shed. 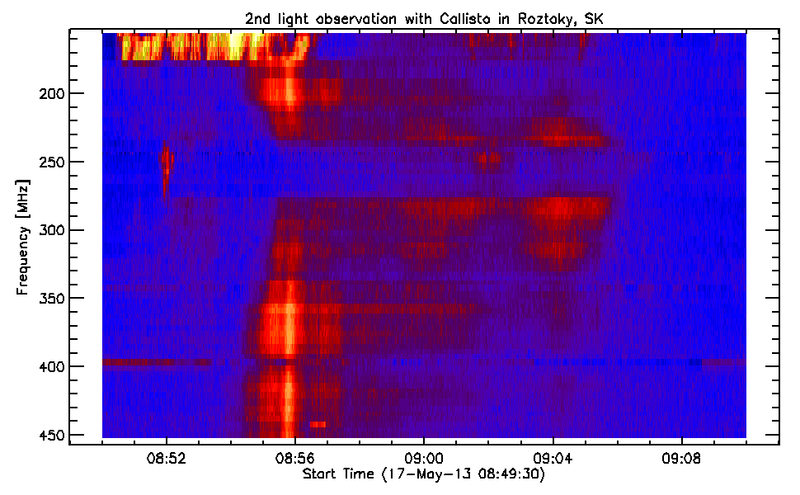 2nd light, a type IV solar radio burst connected to a M-flare. 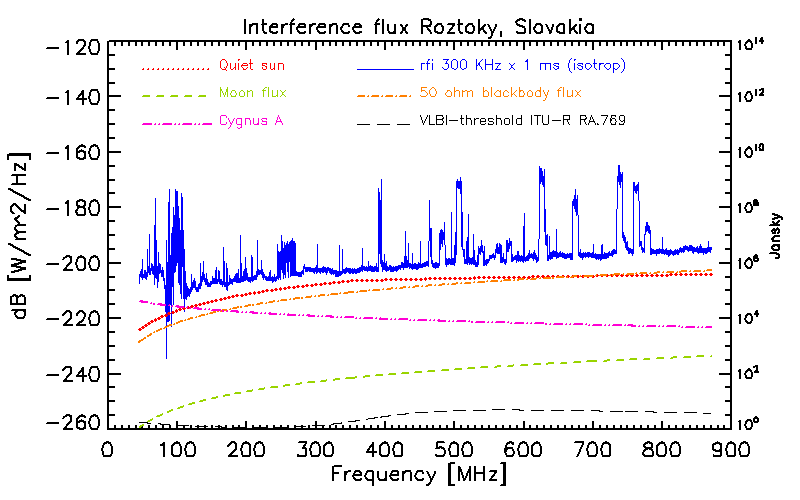 Interference situation compared with other radio sources.